Well last night was perfect weather perfect water clarity, the only prob was the tide was late and with low sun we kept bumping some real big schools of fish. We had a few eats on fly but never came tight so we decided to start banging w/ the spin and it paid off. 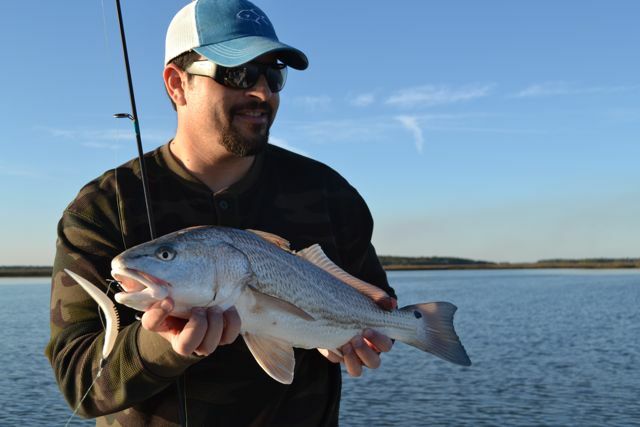 Tides are starting to cooperate as the week goes on so the sight casting will only get better. What a winter this has been, with mild temps and for the most part light winds I can’t think of a winter in the past 20years that I have been caught as many fish in Jan as this year. Make sure when hiring a local guide for fly fishing that he at least has a good flats boat. Too many google advertising guides out there saying they can take you fly fishing only to be constantly spooking fishing from great distances. Todays reds are far to spooky for a barge approach in shallow waters. A good quite flats boat is as important as fly selection.